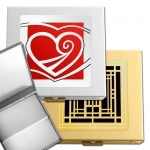 Shop decorative pill boxes for men and women. 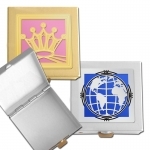 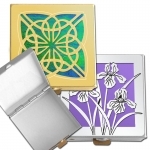 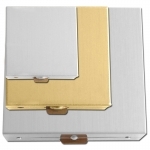 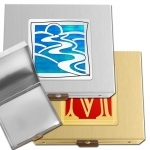 Kyle's cool pill box designs are customized with color on silver or gold cases. 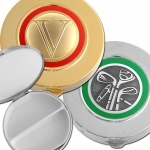 Choose from 100's fo unique pill case styles for purse or pocket made in USA. 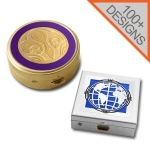 Just like that you can find decorative pill boxes with designs unlike any you've ever seen. 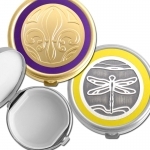 You'll love customizing these unique pill boxes & fancy vitamin holders that feature designs for every interest. 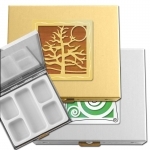 Each one is personalized just for you with over 500 of antique & contemporary designs, gorgeous colors, and optional engraving to create a truly awesome gift. 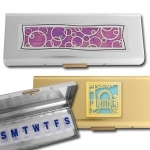 Browse our many sizes of round, square or rectangle pill organizers to find just the size you need. 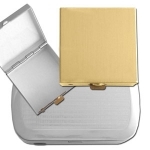 Chooose Customize A Pill Box to create your own personalized cases for men and women.